Mercury drivers know all about their vehicle’s dependability and style. We strive to make our services just as dependable. Your Mercury remains one of the automotive industry’s best autos. The services that you ensure for your Mercury vehicle will keep you on the road for a long time. We perform all maintenance and repair services for your Mercury vehicle. Coopers Auto Repair Specialists are expert technicians specifically trained to service your Mercury. Because of our training and experience, we’re proud to bring you our expert services. In short, know what’s best for your Mercury. 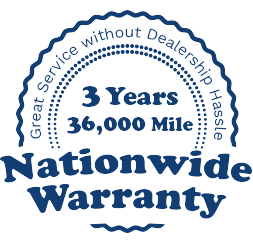 All of our recommended service options are for the betterment of your vehicle. We enjoy establishing long term relationships, and always keep our customers coming back to us whenever they need our top notch service. Our repairs and maintenance are not just about the training and experience of our skilled technicians, but also about our exceptional customer service. We treat everyone like friends and family at Coopers Auto Repair Specialists. How would you treat your friends and family? Hopefully, it’d be with a smile, the best intentions and the best execution of services. We strive for 100% satisfaction, and deliver all of your Mercury’s maintenance and repairs on schedule. Your time and schedule is respected by how quick and efficient we are able to provide most services. Come in for an oil change and lube services and we’ll have your engine pumping the good stuff–a suitable grade motor oil. Need some Heating and A/C repairs for adjusting to climate changes, just visit our shop and we’ll return your Ford to maximum comfort. Any repairs that you need for your Mercury can be handled by us. Next time you’re out, stop by one of our Tacoma, WA locations and let us know we can help you. If you’re near a phone, you can reach out to us at (253)466-2917 to schedule an appointment that works for your Mercury. Just as convenient is to schedule an appointment online.